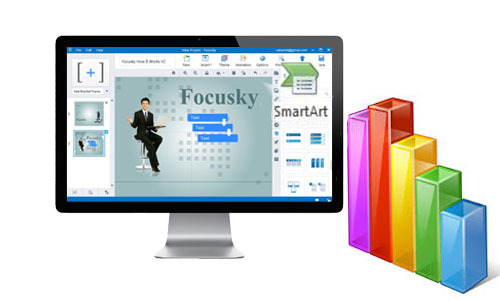 Focusky-a free presentation program is created to help you distinguish your presentation with its customized functions. As we all know, real estate presentations always include a large amount of data, such as the net margin, sales volume and so on. Besides that, we need to create a presentation to show the strength of our houses to our potential customers. Therefore, a more intuitive and eye-capturing presentation plays a rather important role in gaining customers. That’s why Focusky is created. When the real estate agents want to introduce their company, they need some charts or framework to make their presentations more clear. So do data presentation. The smart art icon is designed to meet your needs. You don’t need to outline the charts or design the charts. Once you click the smart art icon, you can choose the beautiful and succinct charts. All you need to do is to fill in the charts with your contents. How to make a house sample attractive and informative by PPT is difficult for real estate agents. But Focusky can satisfy all your needs. 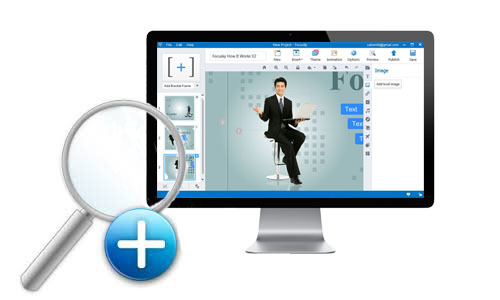 Focusky can help you to zoom in the messages you want to deliver either words or pictures. You can zoom in the house details and the descriptions when you want to emphasize on them. Your potential customers will appreciate your vivid presentation. 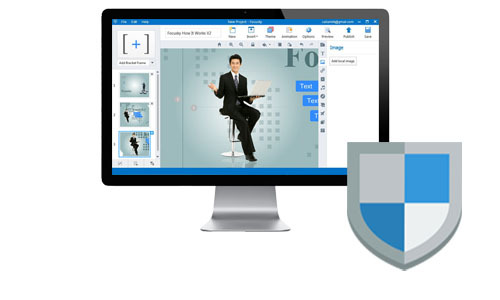 If you don’t want to display your presentation online, we can help you to keep your data private on Focusky cloud. Your data will never leak out because you are the only one who has the Focusky account and code to login your account and edit your content on your homepage. We can’t deny that it is very important to make presentations alive to our potential buyers and keep our data safe in case we lose the edge over the peers. Free presentation program is designed right for you, so why not have a try and boost your sales?